A handful of jabs might help you drop a pants size, say researchers at Kyung Hee University in Seoul, South Korea. A handful of jabs might help you drop a pants size, say researchers at Kyung Hee University in Seoul, South Korea. In a new study in the journal Acupuncture in Medicine, folks who got acupuncture for eight weeks saw a 6% reduction in BMI, a smaller waist circumference, and a loss in overall body fat. "Stimulating specific points can help suppress appetite and increase metabolism," explains study co-author Sabina Lim. Needles were placed into points on the ear thought to correspond to hunger and activity in the stomach, spleen and endocrine system. 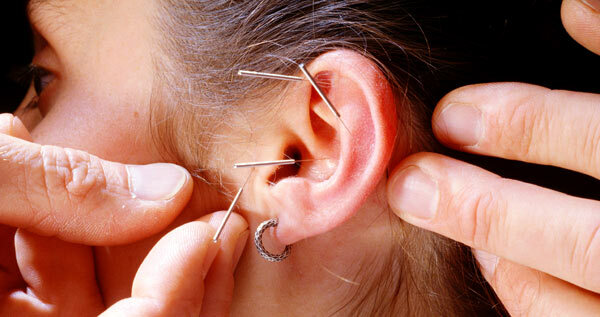 You can search for a certified acupuncture practitioner at nccaom.org.